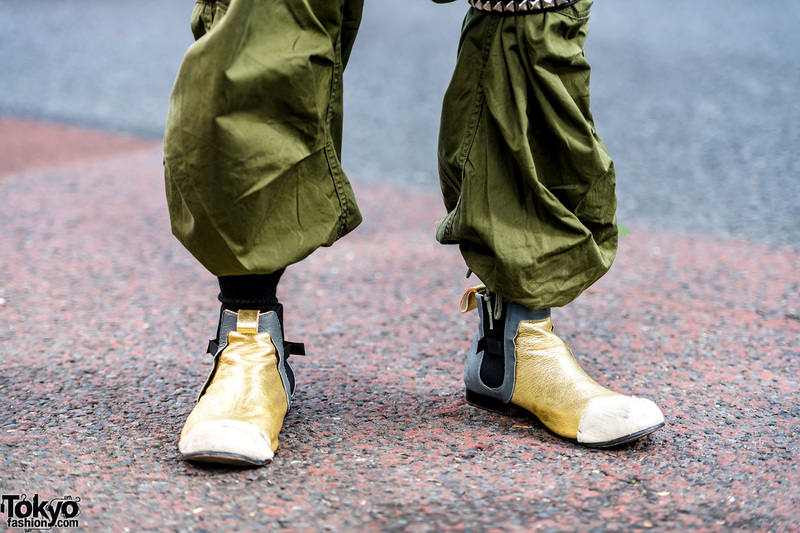 We stumbled upon Naoya, whose all-green camo tactical inspired style caught our attention while walking on the streets of Harajuku. 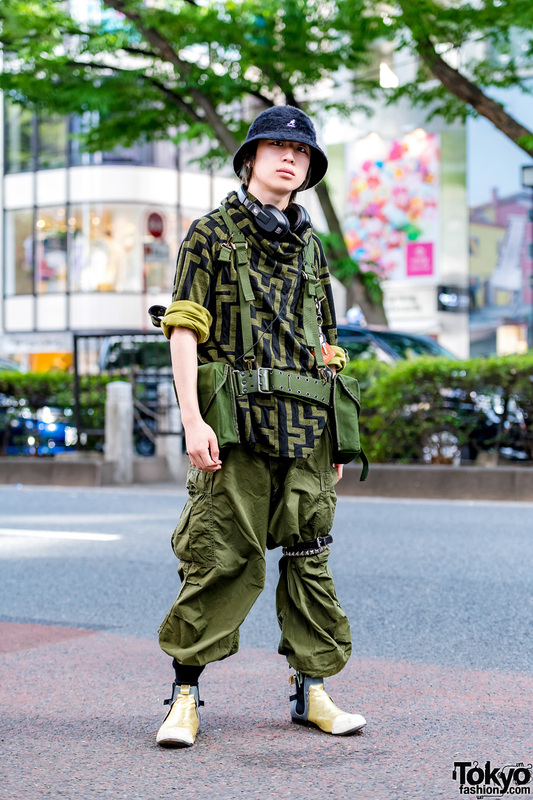 The 19-year-old Japanese student stepped out in vintage pieces including a green top under a printed jacket with rolled-up sleeves and a mock neckline. 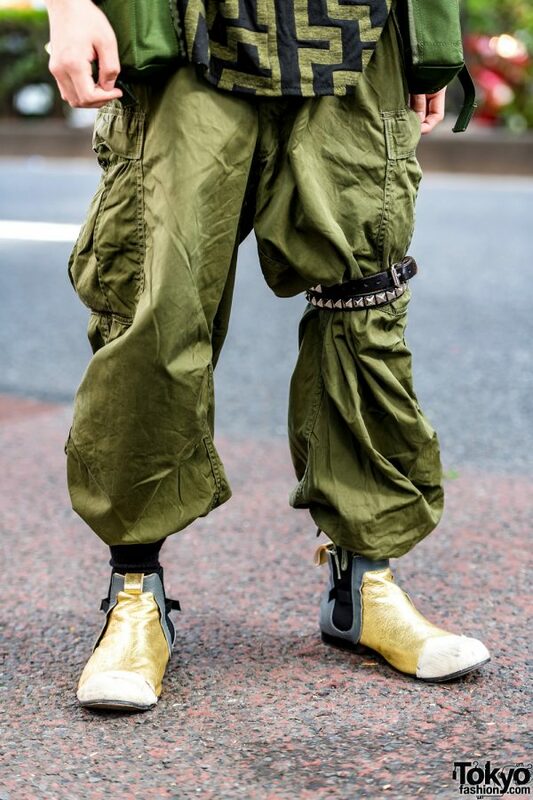 He also wore vintage green cargo pants styled with a black grommet belt wrapped around the left leg. 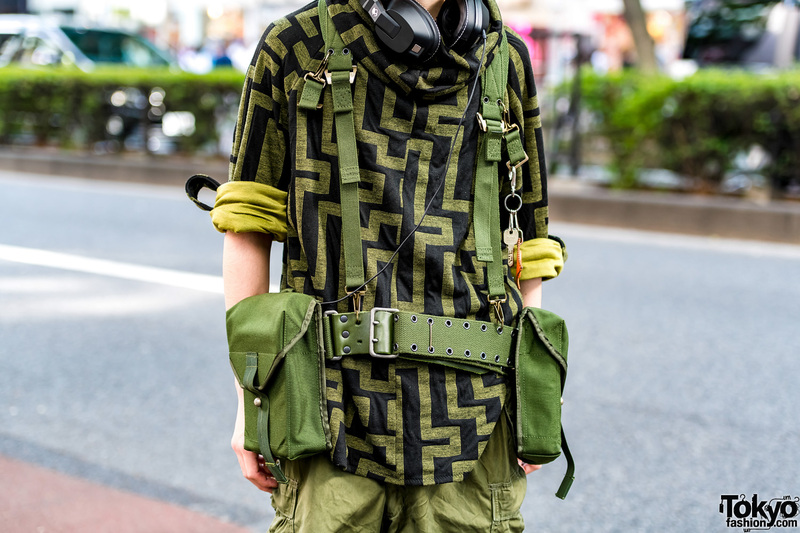 Naoya also wore vintage accessories, including a green waist bag with multiple straps. 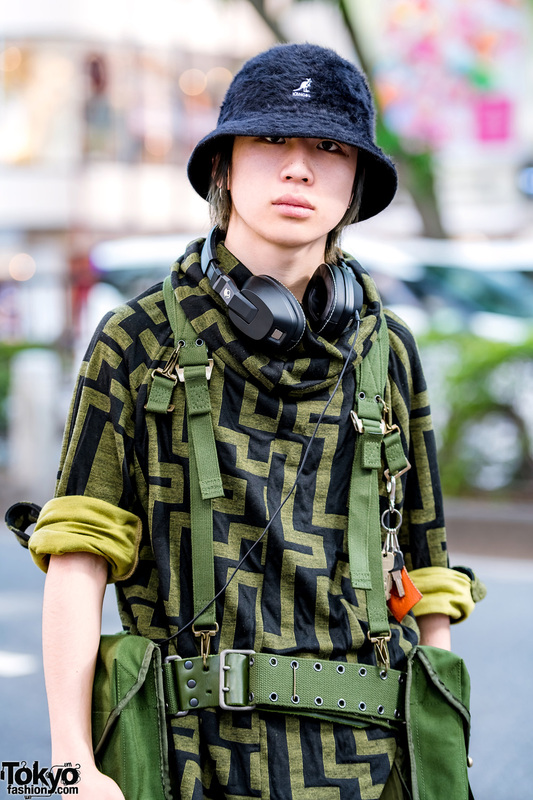 He completed his ensemble with silver hoop earrings, black headphones, a black fuzzy Kangol bucket hat and Comme des Garçons ankle boots. 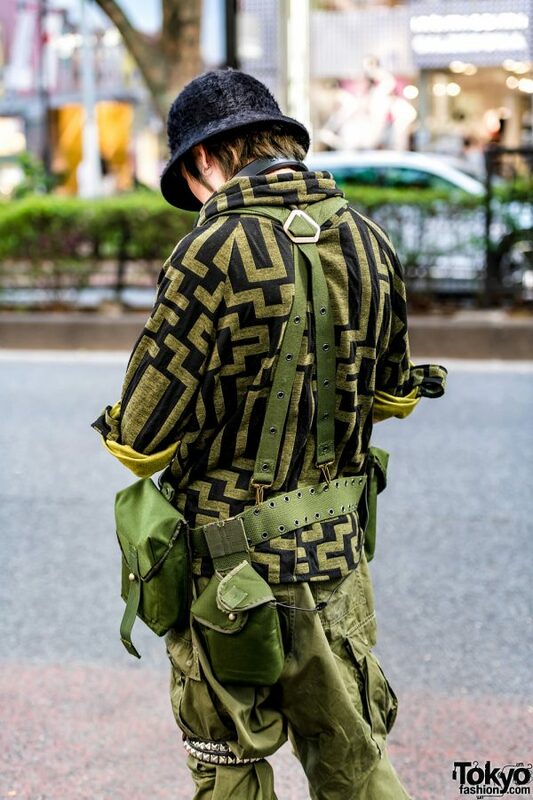 Naoya counts Kidill as a fashion favorite, and he is also active on Instagram.